Have you been feeling the blues today? 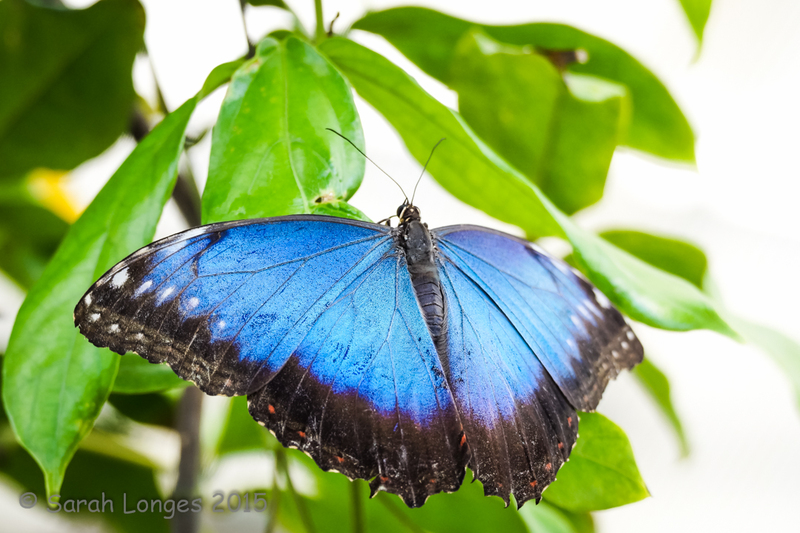 I was, so I lost myself in work for a while and let the Blue Morpho and other blue butterflies at RHS Wisley Gardens, including the Blue Diadem and the Clipper Blue-subspecies, carry away my woes. Then I left the warm and beautiful Glasshouse and returned to the pouring rain and darkness that has plagued the South of England all winter! So I did say there’d be a few more butterfly images over the coming weeks and I’m starting with a montage that’s a little more than it first appears. 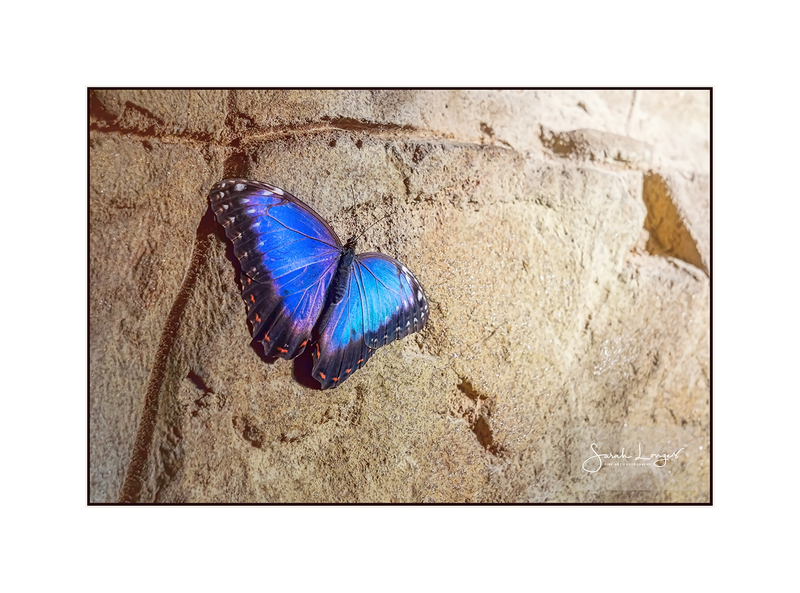 The two butterflies pictured are a Blue Morpho (left) and a Clipper, blue sub-species, (right). 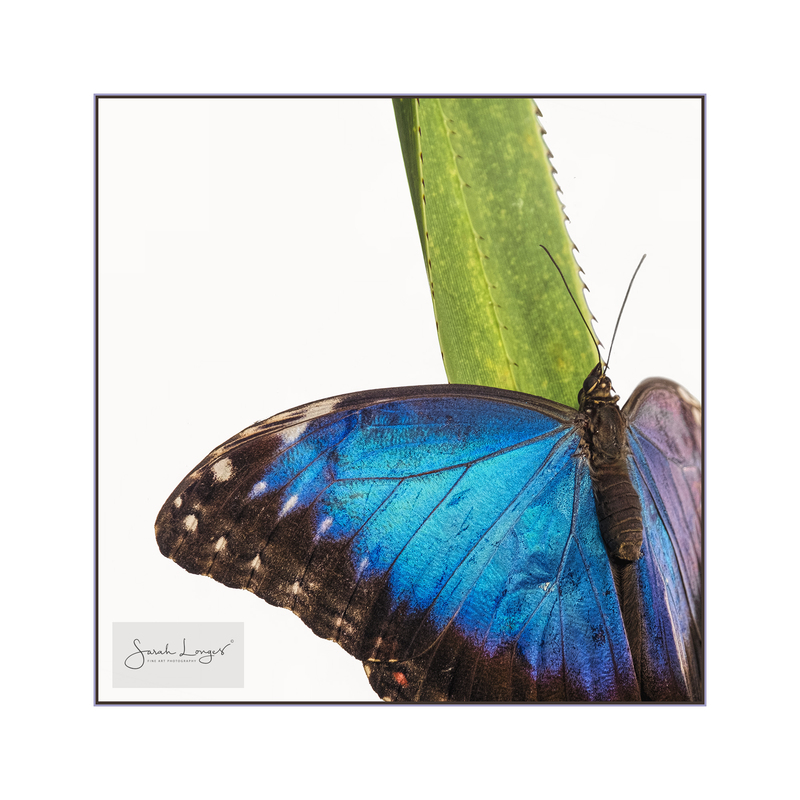 Both subjects were resting on the glass to capture the suns rays which gave me an unusual opportunity to photograph the translucence of their wings. Some of what you see, on the Morpho in particular, is the patterning of the underside of their wings.